Probate is the legal process following death whereby the assets of the decedent are disbursed according to the decedent’s will and or state law. Probate is in essence a legal proceeding to clear title to property whereby the new owner can legally assume title to the property and remove the prior cloud of ownership. It is very important that Probate proceedings on real property be conducted legally and professionally according to court requirements. John comes from a background as an paid med-legal expert witness. For years he has been involved in legal proceedings and paired with his expert knowledge of local Orange County Real Estate, he is the perfect person to sell and manage your probate real estate. His thoroughness and high educational level will make your life much easier and will profit the estate. We are proud to offer a comprehensive probate plan for you. Whether you are planning to sell or rent the property, we can handle your needs from start to finish. 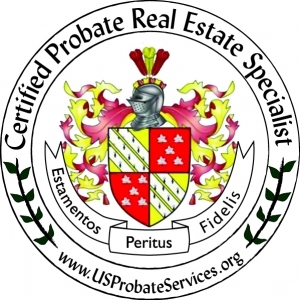 Our team covers all aspects of your probate real estate management. Sales – We have both cash and retail buyers through our affiliation with the nation’s largest and fastest growing real estate company – Keller Williams Realty. Leasing – Daniel Realty & Investments provides customized leasing programs that may or may not include property management according to your needs. We will secure the maximum rent from the best quality tenant for you. Rehabilitation – If your desire is to get the most profit from the sale of your real estate, your property may need some fixing up. John was a member of a highly successful fix and flip team turning 8 properties purchased at Orange County trustee sales monthly. During that time, John became an expert in managing the fixing up process and was able to make contact with many specialty contractors that are able to do a great job and save money! He has the resources that you need to get the job done! Financing – If the estate has property in disrepair but no cash on hand to handle to fixing, we have financing available that is based on the equity in the property. Contact Inheritance Funding Company for more details. Asset disposition – We are associated with auction houses that can sell personal property that needs to be removed from the facilities. In addition, we maintain a list of contractors that can remove the unsaleable items to be discarded. If you prefer to hold a garage sale and sell the items yourself, we are happy to provide proper signage and assist in your sale efforts. Close coordination with your Attorney – With our training and experience, we will carefully coordinate all processes with your attorney and the probate referee. If the referee’s valuation is incorrect, we will provide him with proper comparable sales, pictures, and an itemized repair list for more accurate real estate market pricing. Our goal is work closely with your professionals to insure the most successful sale and probate. If you do not have an attorney, you will need an attorney! 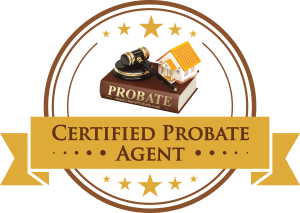 We maintain a list of highly qualified professionals that will expertly assist you with your probate. If you are worried about the fees do not! They are regulated by state law and standardized according to statute. A complete estimate will be provided by your attorney with your custom consultation.